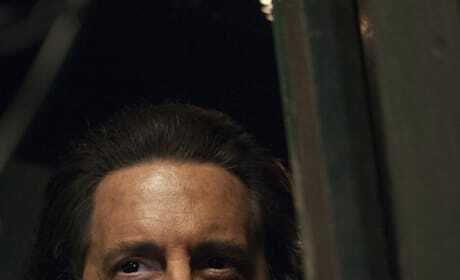 The clue for part 18, the season finale of Twin Peaks: The Return is "What is your name?" The past will dictate the future on part 17 of Twin Peaks: The Return. 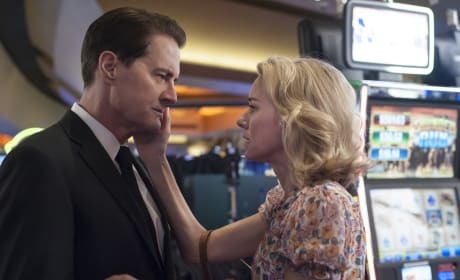 The iconic cult series continues as Twin Peaks: The Return heads into Part 16. "There's some fear in letting go." 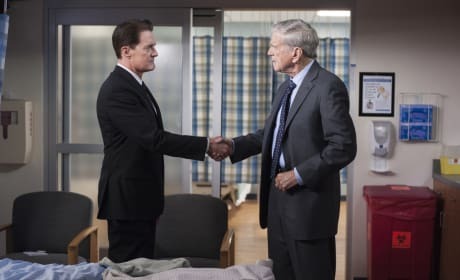 on the 15th installment of Twin Peaks: The Return. 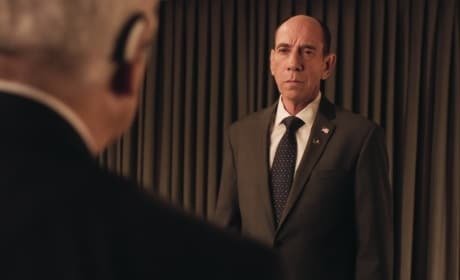 Miguel Ferrer plays FBI Agent Albert Rosenfield on Twin Peaks: The Return. 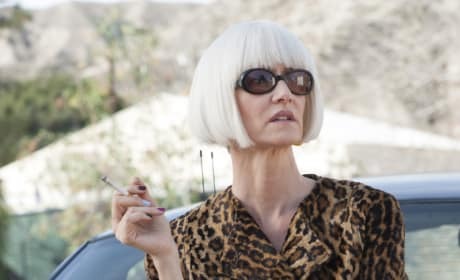 Laura Dern rocks the leopard print on On Twin Peaks: The Return Season 1. 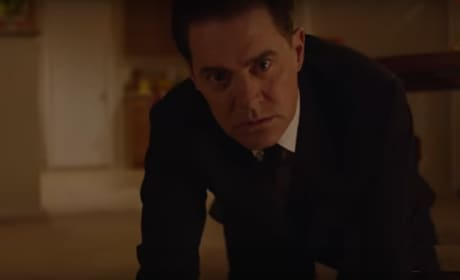 "There's fire where you are going," is the only clue given for the 11th installment of Twin Peaks: The Return. 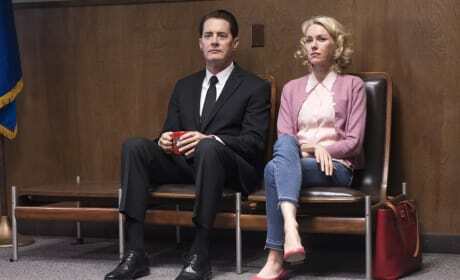 The only clue we have to part 10 of Twin Peaks: The Return is that "Laura is the one." 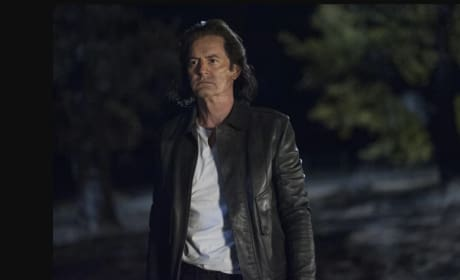 Will Part 9 of Twin Peaks: The Return revisit Agent Cooper's doppleganger? We'll soon find out. The iconic show continues with part 8 of Twin Peaks: The Return. 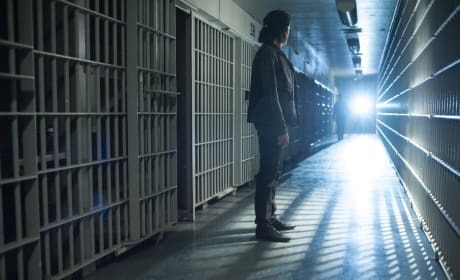 There's a body that must be dealt with on Twin Peaks: The Return season 1 episode 7. 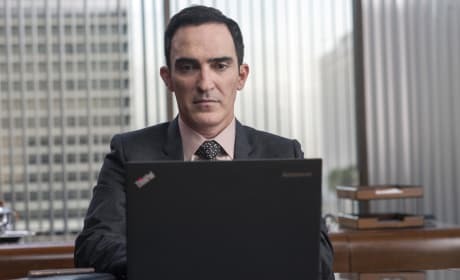 This is the water, this is the well, drink full and descend; the horse is the white of the eyes and dark within. Permalink: This is the water and this is the well. Drink full. The skunk was on the whole other side of the hotel. Permalink: The skunk was on the whole other side of the hotel.